Despite living and frequently traveling around the Philadelphia area, I've had surprisingly few dealings with One Village Coffee. Based out of Souderton north of the city, One Village has often served up decent beans in the times I've found them. Hence when an opportunity recently presented itself to sample their wares at home, I jumped at the chance. The first of the two coffees sent was their Rwanda Gatare Station Bourbon, a light roasted, wet-processed coffee that I sampled by pourover, siphon and french press infusions. The drip produced a brew that poured out a mild strawberry milkshake, Nesquick, some hay, corn chip, black tea and deep cherry on the back end. The resulting coffee was a flavorful yet mellow brew. The french press demonstrated strawberry, wheat, a bit of cream and a nice tang of lemon. The brightest of the three cups, this infusion also held the least nuance. The siphon rallied with more of a honey sweetness as well as heavy notes of cream, bran and twigs, along with flecks of sesame seed, well done steak and scotch amidst a medium body. A much more pungent concoction with a few odd notes, but overall still tasty. To concisely put it, this Rwandan offered a good coffee that held my interest throughout. 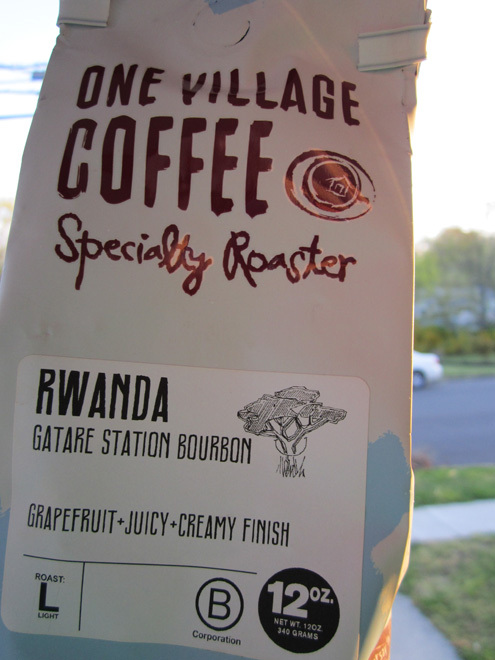 Give this Rwandan a go if you can get your mitts on it. On those cold winter nights, a cup of Gourmet coffee is exactly what we need! 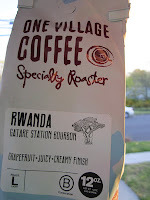 I recently purchased a bag of One Village "Villager" coffee at a local whole foods to try for espresso. It had been roasted over a month earlier but had a "best by date" of two months in the future. It was horrible - flat, stale, no crema. I tried varying grind, temperature, tamping, etc., and it was the same. I gave it a try as drip and tossed it. I wrote them, asking about their shelf life. They explain that they bag it warm in a one-way vent, nitrogen flushed sealed bag. But they shipped me a fresh bag to try. It was night and day - rich aroma, and a tart, vibrant espresso with citrus and vanilla overtones. Delicious. This experience is making me suspicious of whether the one-way vent bags really do their jobs. I'm thinking that it is probably best to mail order direct from the company so as to get a fresh roast and eschew the grocery story bags. Ekobrew: Can It Redeem the K-Cup?